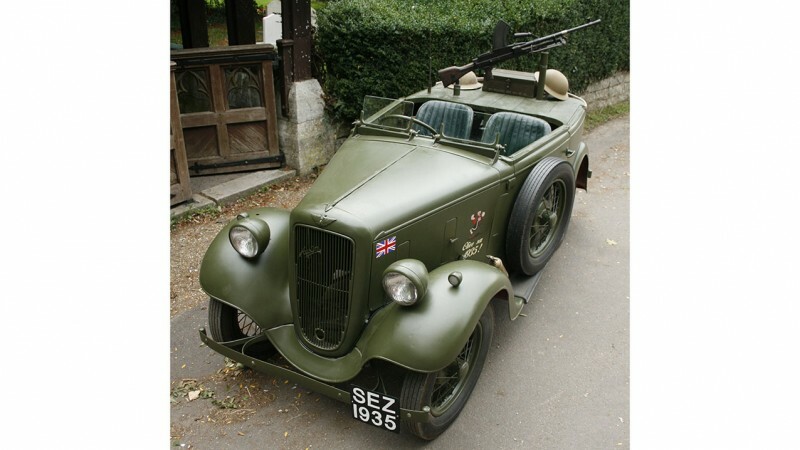 Olive is a World War II Austin Seven Military Reconnaisance Tourer. 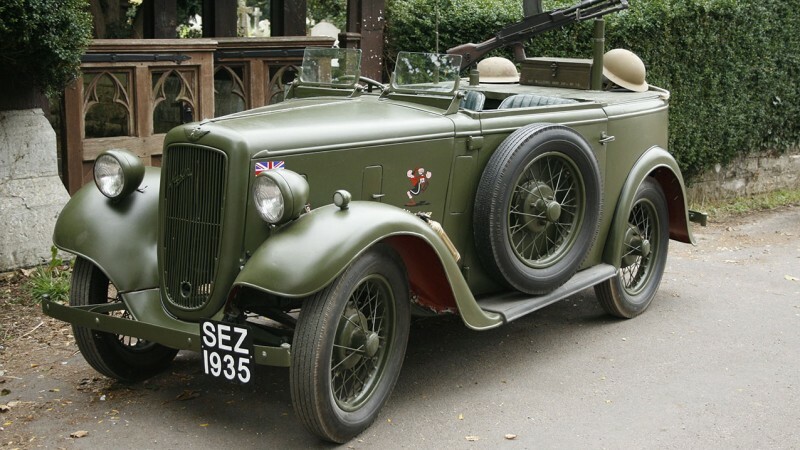 It is believed that in 1944 several of these little cars were transported by glider across the English channel towed by bomber aircraft from an airfield near the south coast and released over occupied northern France for reconnaissance purposes. 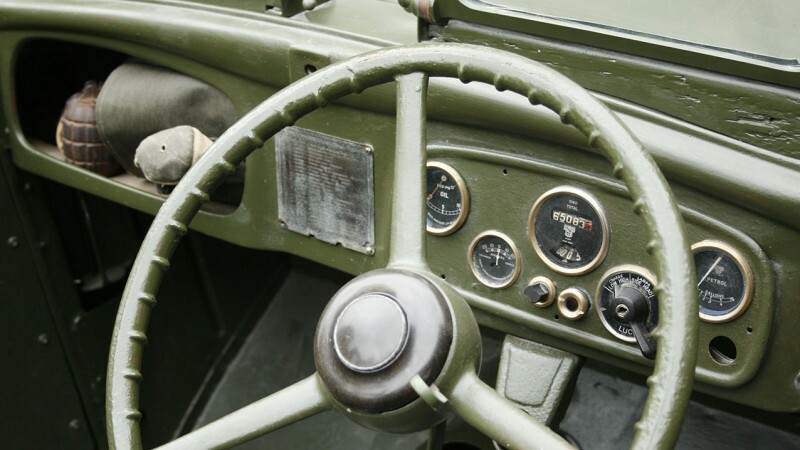 The vintage Austin has undergone a total bodywork and mechanical restoration using original and reconditioned parts to the specifications of drawings, sketches and verbal information given to the owner. 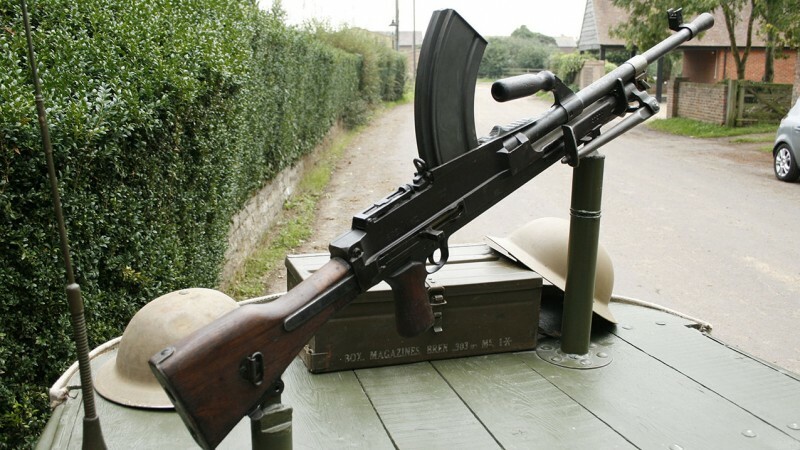 The two seater 750cc 7hp car features a .303 caliber Bren machine gun mounted on a wooden platform in-place of the rear seats. Firearm certification is supplied in the form of a deactivation receipt together with correspondence from Dorset Police. 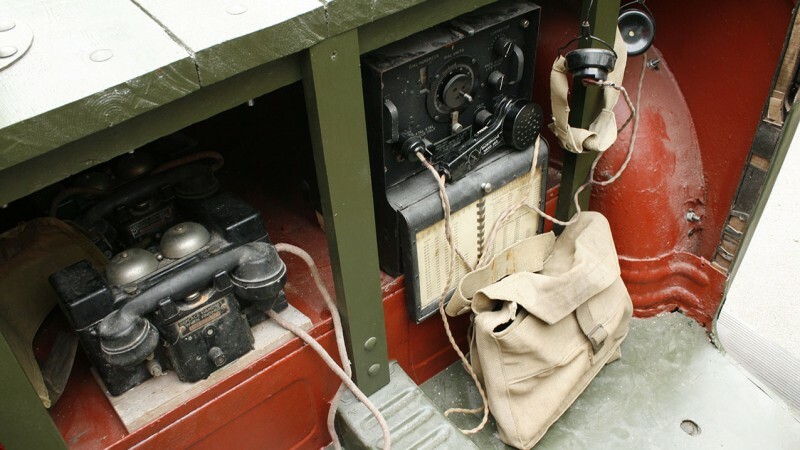 The vehicle also features a period radio transmitter and field telephones. 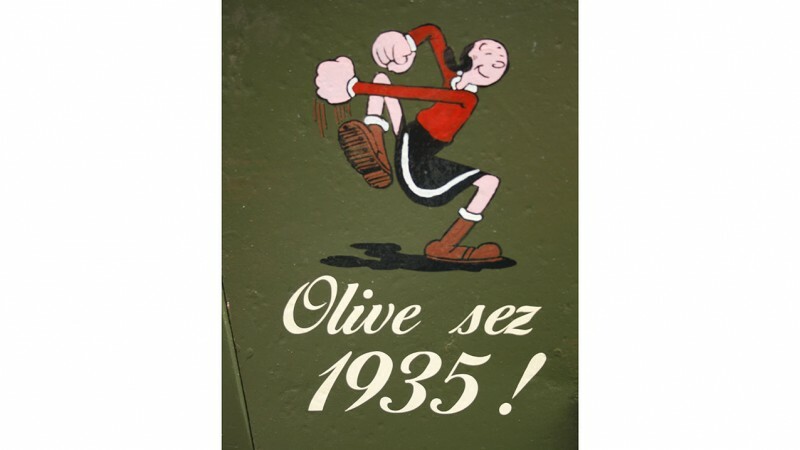 Affectionately named ‘Olive’ after her shade of olive green paint, the 1935 reconnaissance war machine features a cartoon of ‘Popeye’s’ girlfriend ‘Olive Oyl’ painted on each side of her bonnet with the slogan ‘Olive sez 1935’. Having only one passenger seat Olive is only suitable for transporting the Groom or Best Man, she also has a very loud Klaxon Horn to warn the guests of their imminent arrival. 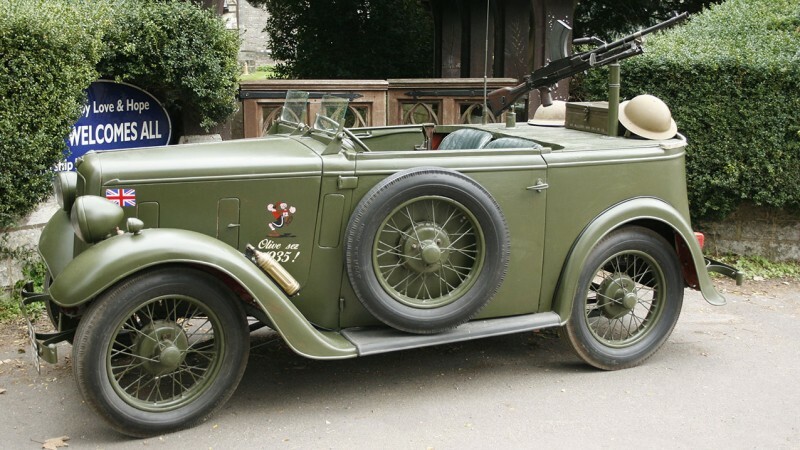 She could be the perfect vehicle for those planning a real ‘shotgun wedding’ ! 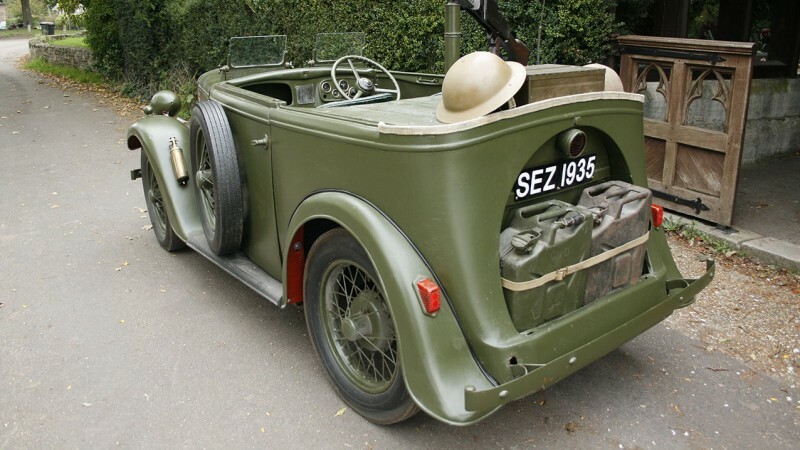 Olive does not have a hood but British Army capes and helmets are stowed away in case of rain – We would always advise you to view the vehicle before booking.